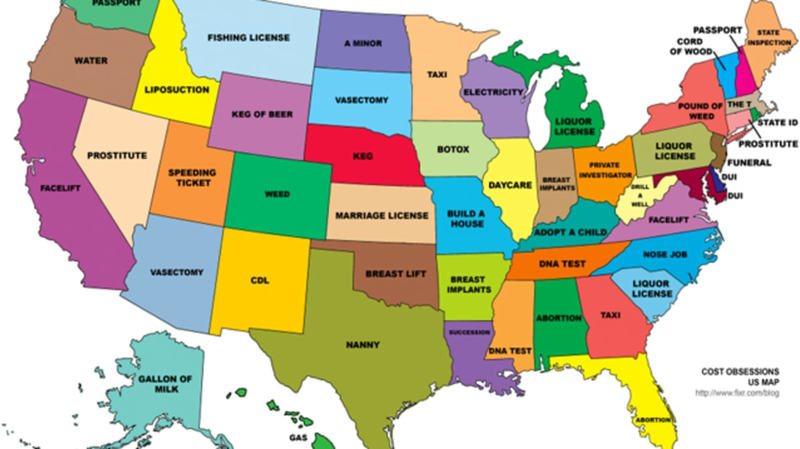 What are people looking to buy state-by-state? If you're from Mississippi, you might be checking how much a DNA test will set you back. Cost guide website Fixr.com did some Googling to see what people were looking to buy. For each state capital, they typed in "How much does a * cost in [Capital, State]" to see what the first recommendation was. They then took the results and put them on a map. As you can see, people are looking for the costs of some unusual things. If the search result for North Dakota alarms you, don't worry: It's referring to the fine a minor would get for possessing alcohol. As for any Google Autocomplete project, results may vary depending on your location and search history. 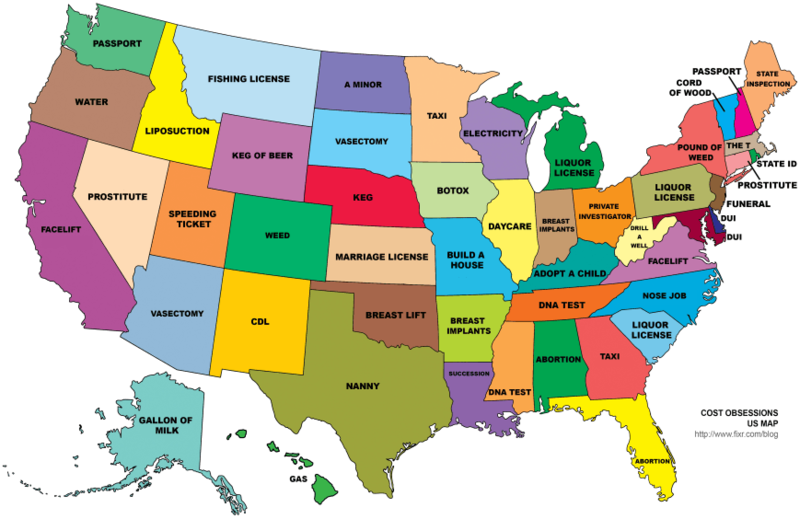 See Also: Why Is Your State So __________? The Afternoon Map is a semi-regular feature in which we post maps and infographics. In the afternoon. Semi-regularly. Thanks to the Washington Post for featuring this one.